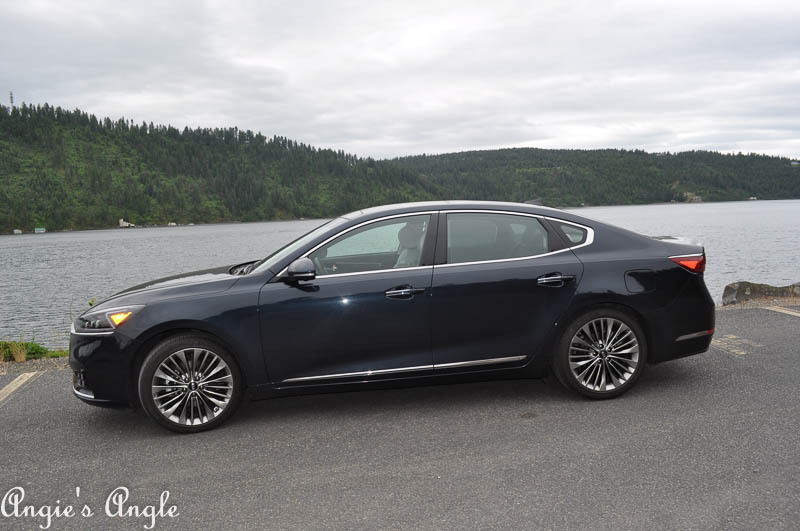 I received the 2017 Kia Cadenza free for two weeks for my driving pleasure. All thoughts and photos are 100% my own. Thanks to Kia for the car. 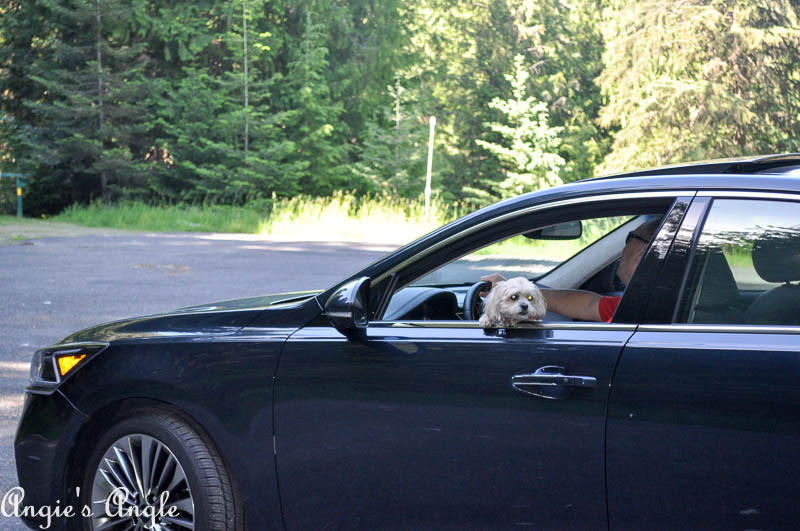 Being able to travel and make road trips is something important to us. We enjoy getting away and being able to explore places. But we haven’t been able to do too much of that on our own in the last couple years. With both of our vehicles being not that great, we rely on getting a car to test drive to be able to make those road trips. Luckily, we’ll be getting a new vehicle in the next few months so we won’t have to rely on test drives as much. It had been two years since we had made a trip back over to Idaho. Was a long overdue visit. Happily, Kia was nice enough to give us a car to take over to Idaho and be able to surprise my Mom with a visit after her knee surgery. For those that don’t know, Northern Idaho ( Coeur d’Alene/St. Maries ) is about a 7 to 8-hour drive from us here in Vancouver. 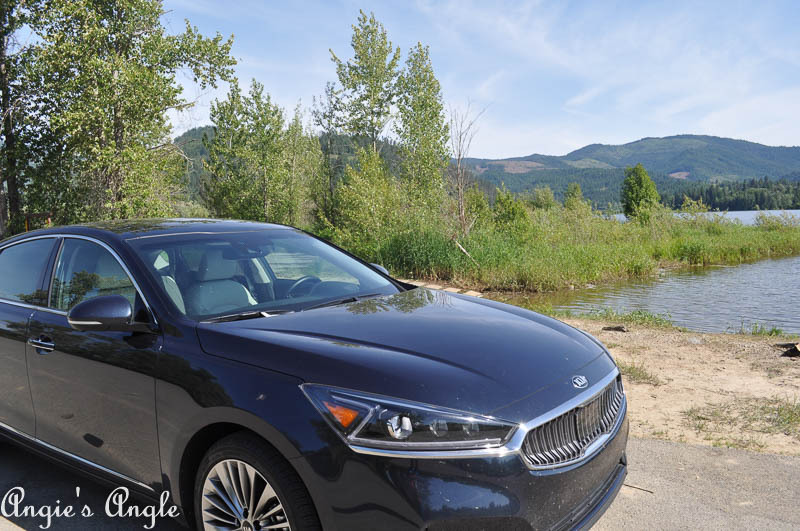 We lucked out by getting the 2017 Kia Cadenza for our road trip. 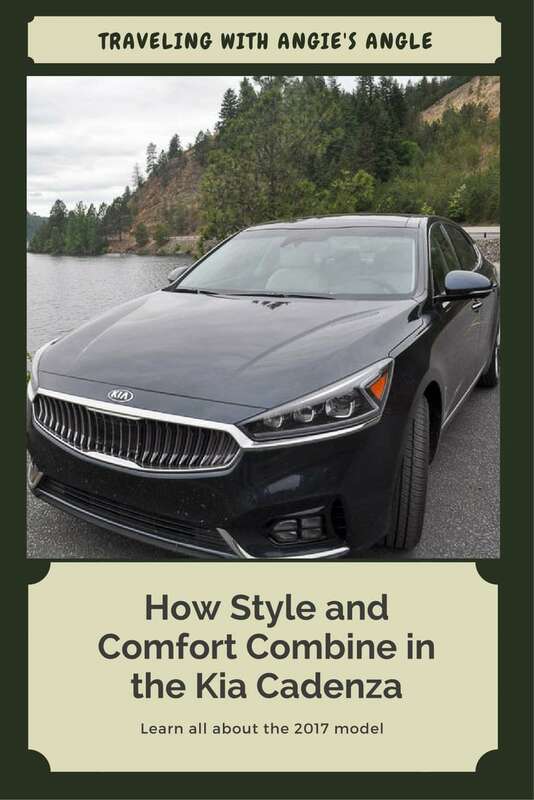 How exactly do style and comfort combine in the Kia Cadenza? Well, let me show you! One of the first things Jason and I talked about when the Kia Cadenza pulled up is what color is that. Depending on the light, it changed what color it seemed to be. To clarify, the color is called Gravity Blue but to us, it changed from green to black, dark gray, and even a bit of purple. How fun, right? 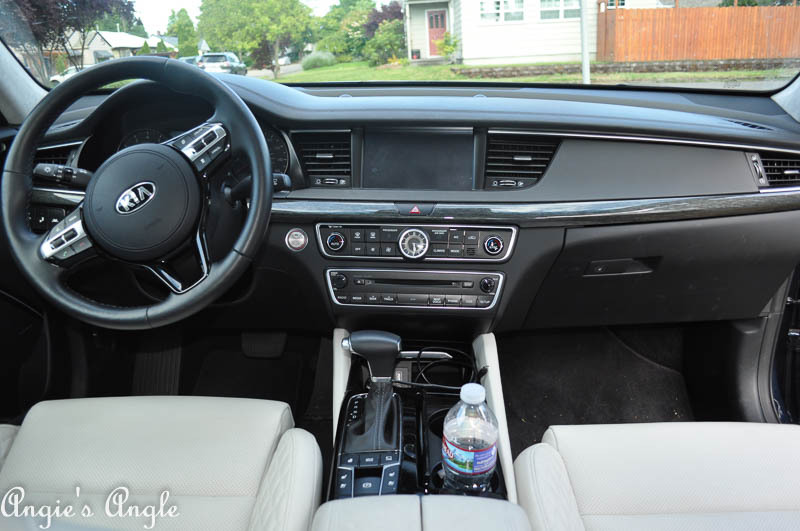 A peek in the inside is in order before I let you know the details a bit of our trip and how the Kia Cadenza handled on our long journey. 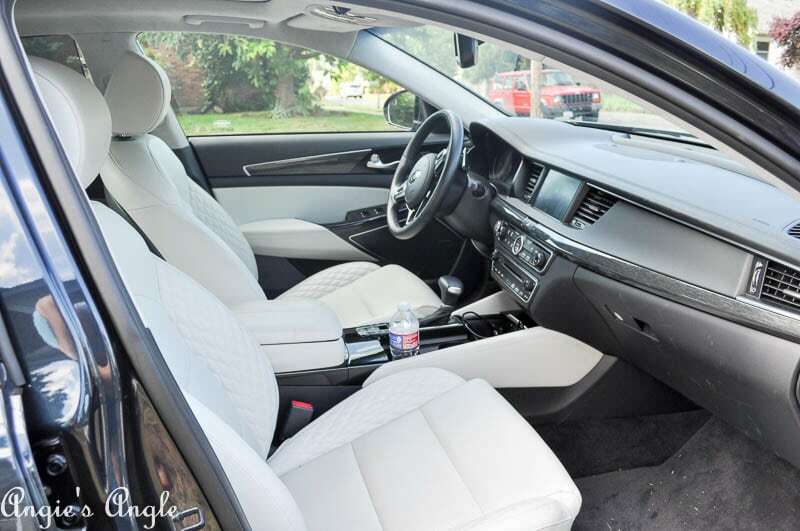 How style and comfort combine in the Kia Cadenza is pretty easy to see I think just looking at the above pictures. The interior seats are so plush and yes white. Which probably wouldn’t be a good choice for us personally with a furry head puppy that likes to take over the car. But seriously, so pretty and soft. And to top that off the seats are also heated & ventilated, in the front. 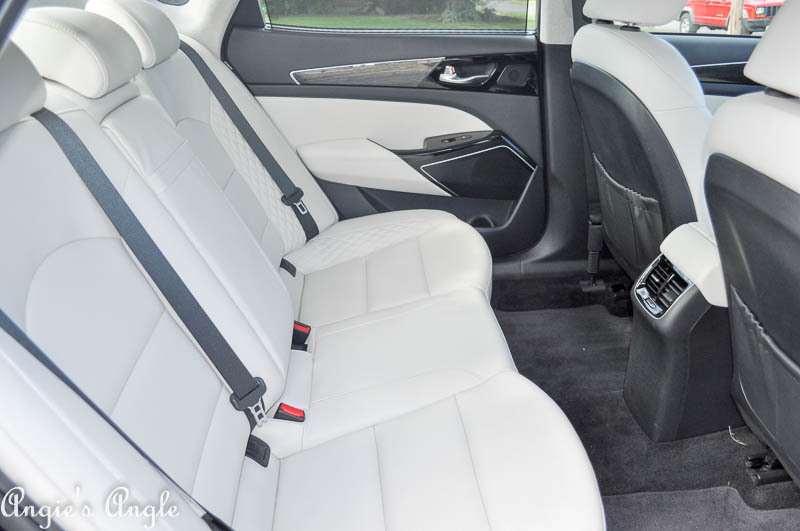 The back seats are not to be outdone as they are also heated with controls on the doors. I bet you can imagine that it was a complete comfort to drive for our long journey. We couldn’t have asked for a better ride. Jason was able to get off a tad early Saturday, June 10th so we could leave and make our way a bit into the journey. We decided to stop in the Tri-Cities for the evening. It’s about a three to four-hour drive from here to there. We were able to have dinner with my brother, which was nice. Leaving the Tri-Cities Sunday, June 11th to make our way to St. Maries. Surprised Mom and she surprised us by already being home. Which was a bit easier since we had Roxy and would have had to leave Roxy at the house since it was way too hot to leave her in the car. 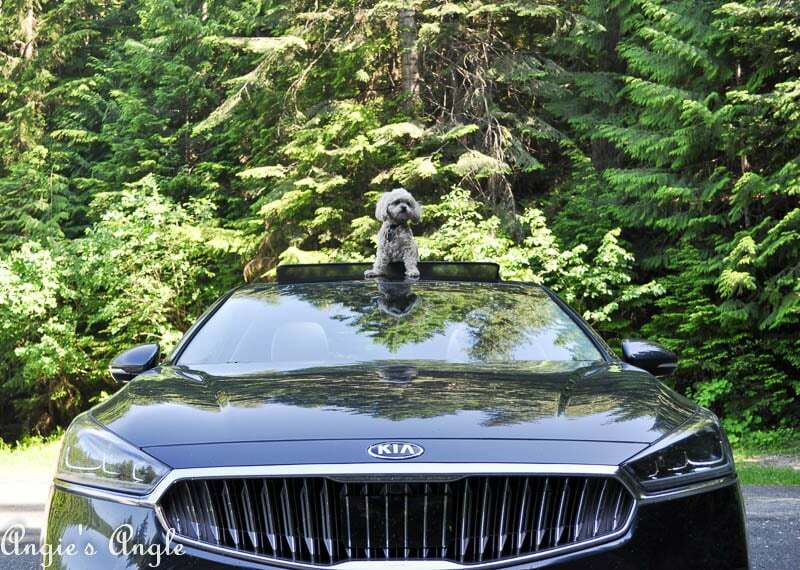 The beautiful Kia got commented on because hey that isn’t one of your guy’s normal cars. And the explanation of how we got it and what I do for it came about. After we visited with Mom for a bit, we made our way to Coeur d’Alene where we were meeting up with my sissy-poo, Kris for dinner with her boyfriend, George. 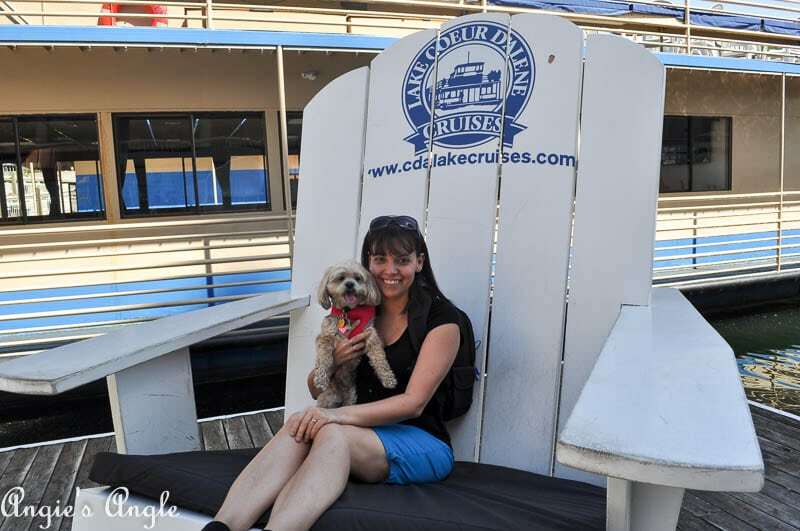 It took us a bit to find a place that was pet-friendly for patio sitting but we finally found one at Taphouse Unchained which is located in downtown Coeur d’Alene along Sherman. Had some yummy dinner and a few drinks while visiting. Then finally made our way to the hotel for the next couple nights in Post Falls. We got up Monday, June 12th and made ourselves tourists in our old stomping grounds, which was so fun. Even while living in Coeur d’Alene we didn’t do much exploring. Another time we’d like to go back and do more exploring. Headed back down to St. Maries that evening to spend a bit more time with Mom. Took some more photos along the way of the Kia Cadenza to try to capture its beauty. After doing a bit more looking around Coeur d’Alene Tuesday morning, June 13th we started to make our way back to Vancouver. Was a great journey and one we appreciated more than normal. The 2017 Kia Cadenza held up so well with our two-week test drive. I’ll freely admit too that we put a lot of miles on her. Our average on gas mileage ended up being 28mpg. Which was with a horrible headwind on the way back home. The average is 23 mpg Kia states with a 20/28. Since most of our driving was highway we ran right at the top. Can’t really complain about that I don’t think. A few select features that I want to highlight. Remember this is just a small few. Blind Spot Detection, Rear Cross Traffic Alert, Lane Change Assist, Rear Parking Assist, High Beam Assist, Autonomous Emergency Braking, Advanced Smart Cruise Control, Lane Departure Warning System, Forward Collision Warning System, and Surround View Monitor. Have to say that the Surround View Monitor is one of our favorite features. You can see your whole car from the top and all sides. Integrated Memory System for driver seat. Only in the Technology and Limited – but seriously one of our favorites. Makes it easy for us to go back and forth to drive. This 2017 Kia Cadenza is such a prize. The one we tested out was the Limited edition. The cost for this model is around 45k, but seriously loaded with luxuries you’ll love. 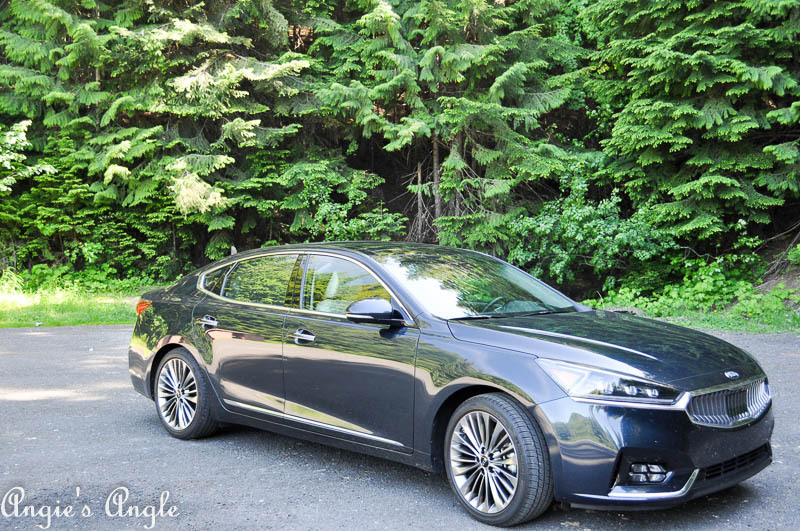 What did you think of this Kia Cadenza? 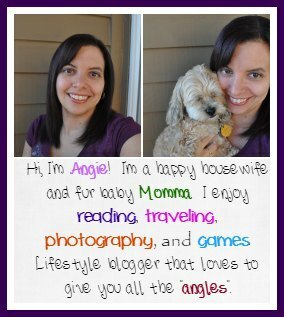 Something I didn’t go over that you are curious about? Feel free to ask away and I’ll do my best to answer.